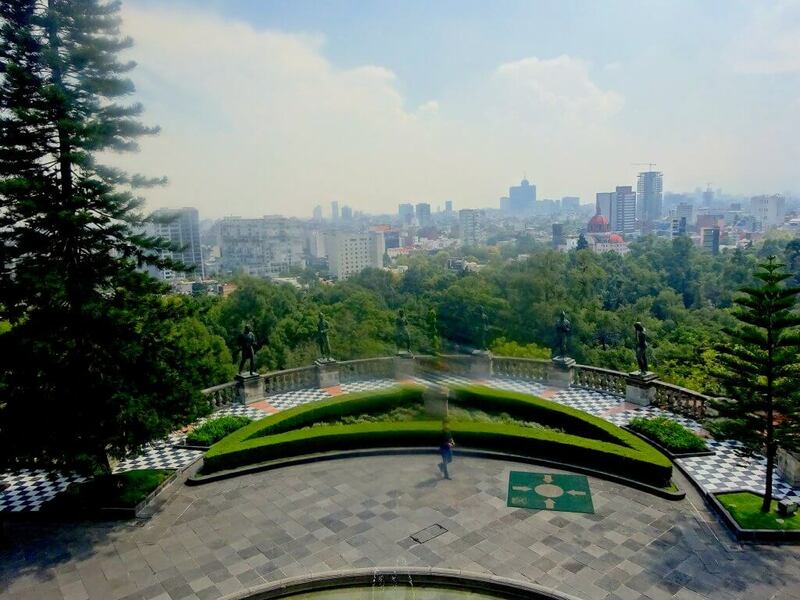 On top of Chapultepec Hill, in Chapultepec Park, in Mexico City, you will find Chapultepec Castle. Known in Spanish as Castillo de Chapultepec, this is the only royal castle in all of the Americas. Once a royal residence, this castle now houses the Museo Nacional de Historia. 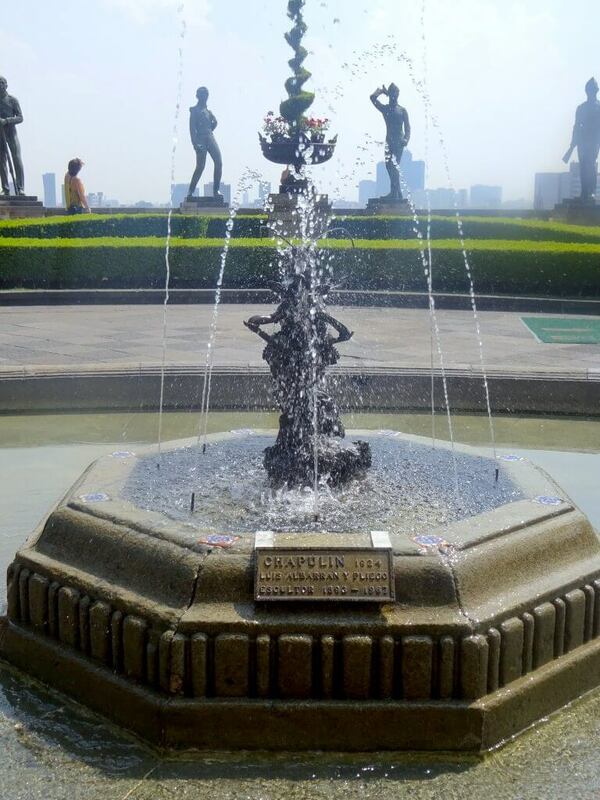 Side note – Chapultepec comes from the Nahuatl word “chapoltepēc” which translates to “At The Grasshopper’s Hill”, just in case you’re interested. The history of Chapultepec Castle is quite colourful. It was originally built in 1785, as a summer retreat for the Spanish Viceroy. As it was being built, the leader of the project was accused of building the fortress with the intent of rebelling against the Spanish Crown The viceroy who had ordered it’s building died suddenly in 1786, rumour had it that he was poisoned, though no evidence was found. The building was to be auctioned, as there was no head engineer. But no buyers tooks it. Eventually, in 1806, the municipal government of Mexico City bought the building. During the War of Independence, 1810 – 1821, the castle stood abandoned. During the Mexican-American War (1846 – 1848) Chapultepec Castle had a part to play. The Battle Of Chapultepec was fought in September 1847, where 2,000 US troops attacked 880 Mexicans in a 60-90 minute battle. The US army succeeded in taking Chapultepec, which was in an important position for defending Mexico City. In the course of this battle, five Mexican military cadets and their instructor refused to fall back when the retreat was ordered. They were all aged between 13 and 19. According to legend, the last cadet standing grabbed a Mexican flag, wrapped it around himself and jumped off Chapultepec Castle to stop the flag from falling into enemy hands. The cadets have become an important legend in Mexican History and are known as Los Niños Heroes (The Child Heroes). Between 1864 – 1867, which was the time of the Second Mexican Empire, Chapultepec Castle became the official residence of Emperor Maximilian I and his consort Empress Carlota. At this time the castle was known as Castillo de Miravalle. Maximilian hired several architects to make the place more habitable, basing it on his Italian Villa. As the castle was actually outside of Mexico City, the Emperor also ordered a great boulevard to be built. This would connect the royal residence to the city centre. And so Paseo de la Reforma was born (though originally called Paseo de la Emperitz). After the Second Mexican Empire the castle once again fell into disuse. Until 1882, when it became the official residence of Presidents. With only a few exceptions, Presidents resided at Chapultepec Castle until 1939, when President Lázaro Cárdenas turned it into a museum. The Museo Nacional de Historia opened in 1944 and has been there since. The Castle is now home to a museum. In the museum you can find twelve permanent exhibits that include the history rooms and and the Alcázar. Inside the area known as the Alcázar you will find recreations of rooms. On the ground floor are the rooms of Maximilian and Carlota. The furniture, jewels, paintings and other objects all belonged to the Emperor. On the top floor the rooms have been recreated to show them as they were during President Porfirio Díaz and his wife Carmen Romero Rubio occupupany (1883-1910). They used the castle as a summer house. 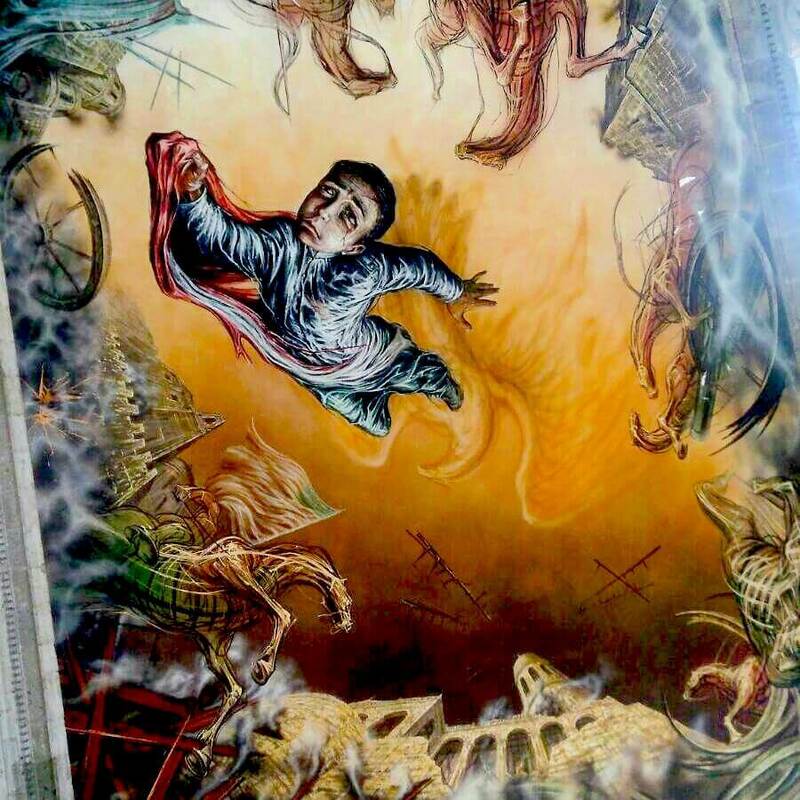 Here there is also a room dedicated to the Battle of Chapultepec. It is important to note that all the information signs at Chapultepec Castle are in Spanish. But if your Spanish is as bad as mine, don’t let this deter you from visiting. Believe me, it is still worth your time. The building is filled with murals. Some by Orozco and Siqueiros. Though the most powerful ones are by Juan O’Gorman. They are all moving, colourful, very Mexican and a worth making the trip to the castle. The grounds are also worth exploring. There are some incredible views out over Mexico City. Plus some lovely fountains are in the grounds. Even though my Spanish isn’t that good, I enjoyed my visit. For Chapultepec Castle opening times and ticket prices, please visit their website. 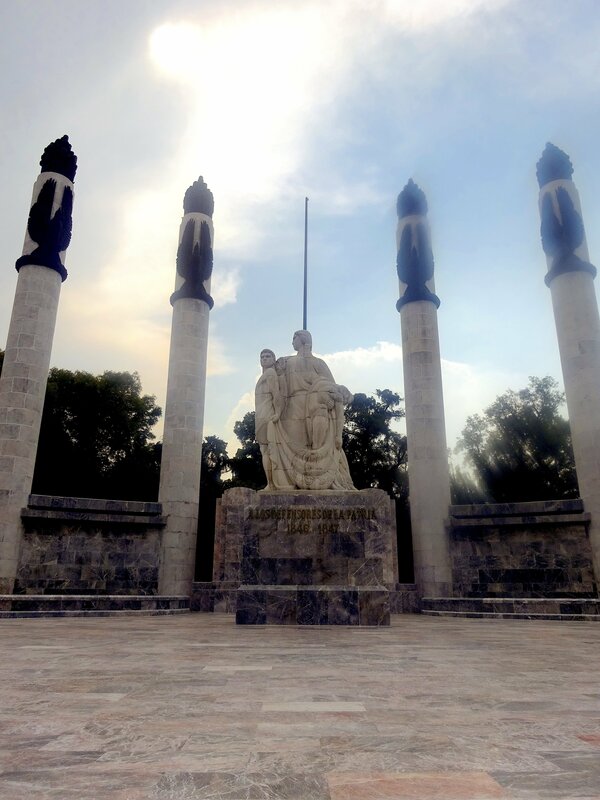 The castle is easy to find, just head to Chapultepec Park and you can’t miss it. The nearest Metro Station is Chapultepec. From here head into the park, past the Niños Heroes Memorial and climb the hill. At the top you are there. 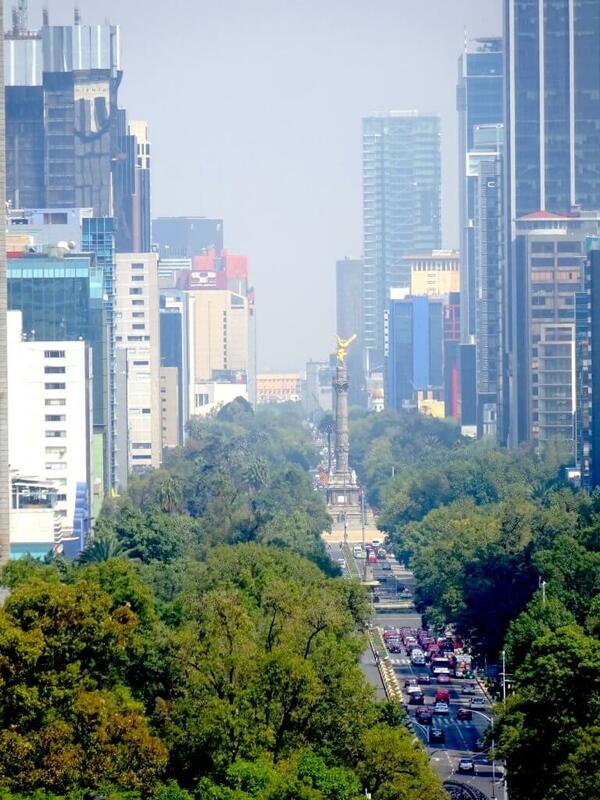 Alternatively, from the centre of Mexico City you could walk straight down La Reforma. It’s a long walk, but a great way to see this amazing street. Once at the entrance to the park the instructions are the same as above. Want to visit? Check out the reviews on TripAdvisor. 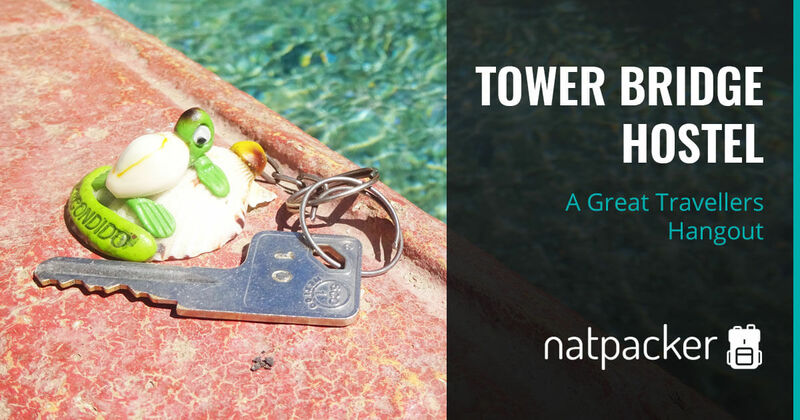 Need accommodation in Mexico City? Take a look on HostelWorld. 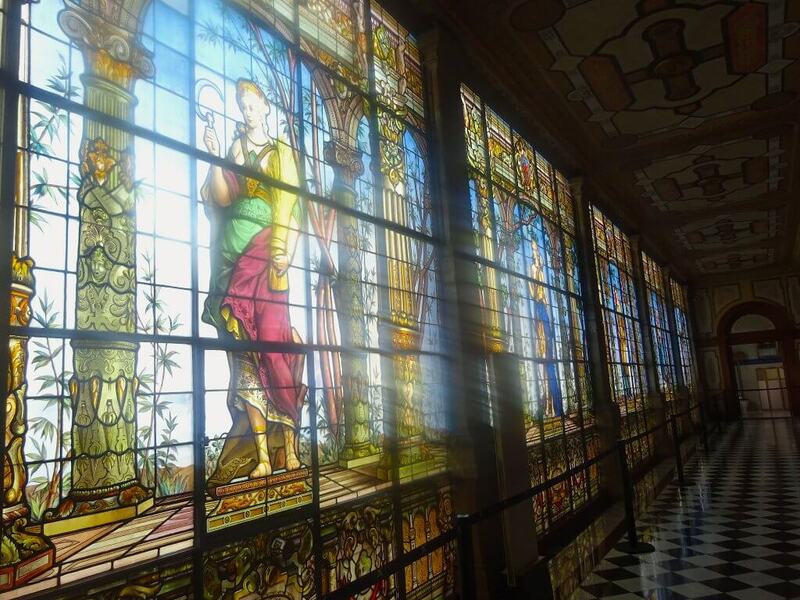 Have you been to Chapultepec Castle? Let me know what you thought in the comments below. What a fascinating place! The pictures are beautiful too. Thanks for sharing! Haven’t been to Mexico, but really enjoying reading about your adventures there.